There is no region of whisky-making in the world more renowned or more compacted with distilleries than the Speyside region of Scotland. A great many of the famed whiskies of the world hail from this famous river valley. And, with so much having already been said about it by more qualified persons than me, I’ll waste little time in getting to my nominees. Notes: Many of the older batches of the A’Bunadh could have made this list because there have been many brilliant iterations of this wonderful whisky. It is a batching of old and young whiskies, all aged in first fill ex-Oloroso Sherry butts. This particular batch is amazingly complex, with rich wood spices, sweet dark fruits, tangy citrus peel, and decadent toffee and butterscotch. This batch was deep and full, and presented something new every time I sipped it. Aberlour A’Bunadh is still a readily available whisky, although I have to admit that some of the more recent batches have not reached the heights of some of the older ones I have had the pleasure of sipping. Even still, at cask strength and aged in first fill Oloroso butts, it’s a great value buy. Notes: This expression of The Balvenie was one of the first super-premium Scotches to utilize cask finishing when it was developed by famed maltmaster, David Steward, in 1995. It is every bit as good of a whisky today as it was then. It is aged principally in hogsheads for 21 long years before being transferred into port pipes for the final stage of their journey. This process exudes flavors of nutty flavors, backed up by baking spices, rich dried fruits like apricot and pineapple, and drying dark chocolate. This is a readily available expression of whisky in most fine liquor stores, and although it does cost a good deal of money, there are few gifts the whisky lover in your life will appreciate more. Notes: There is perhaps no whisky I have tried in my travels that looks quite so impressive in the glass as this one. It is aged 21 long years in Oloroso and Pedro Ximenez casks and bottled without artificial coloring or chill-filtration, giving it a rich dark maple syrup appearance. It is a rich, robust, viscous whisky, almost chewy. Antiquated libraries with Oxford Dons sipping sherry come rolling through the memory as this whisky cascades across the palate. All the rich chocolate and mocha flavors with subtle spices that one would expect from an old sherried dram are evident here in large quantities, such that taking your time with this whisky and letting it open up for you provides the best whisky experience. This is not an impossible whisky to find if you frequent higher end liquor stores, and it is a very reasonable price for its age and casking. Notes: At the time of its release, this whisky was intended to be a mainstay in The Glenlivet’s Classic Range, but with the massive demand for premium Scotch these days, the distillery no longer releases this on a regular basis, but it is released in small batches on occasion. After its principle aging, which ranges around 25 years, the barrels that are to comprise this expression are married for 1-3 years in first fill Sherry butts, eliciting a rich layer of flavor. What makes this whisky so unique is that it drinks like a young whisky and an old whisky at the same time. It has only spent a short time in Sherry casks, so the musty sherry notes of old sherried drams are not present. Rather, this whisky layers dark chocolate and fresh gingerbread over the top of rich vanilla, spiced almonds, and creamy blood oranges. This is a very hard whisky to find, but if you can find it, it is one of the classic drams from Speyside, and certainly my favorite whisky from arguably the most famous Scotch distillery in the world. Notes: This is perhaps the most famous sherried malt in all the whisky world, and for good reason. Just about any iteration of Macallan 18 could have clocked in on this list, but I’ve chosen my personal favorite. Sticking my nose in a glass of this was one of the great pleasures I have had in my time drinking whisky. The nose has rich mahogany, spiced walnuts, and saddle leather. This whisky works beautifully between sweet sherried flavors and spicier flavors such as ginger and orange peel. This whisky has been called the epitome of an aged sherried Speysider, and I can see why. 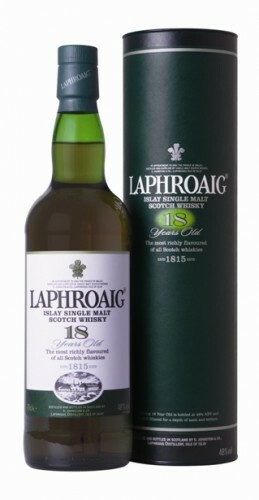 This one is not so hard to find if you frequent luxury liquor establishments, but for an 18 year-old whisky, it is expensive, so be sure you have a special occasion on which to enjoy it. Congratulations to Scotsman Gary Anderson on defending his World Darts Championship Title to kick off 2016! Have a glass, Gary! Happy New Year, everybody! My first review of 2016 is a bit of a follow up to my final review of 2015. In my last review, I mentioned that I have not yet found a better Aberlour than the A’Bunadh, but it is a bit out of my price range and hard to find here in Pennsylvania. But, what if I found a cask strength, Oloroso-matured single malt that could operate as a substitute? So, without further ado, here is my review of some Oloroso-matured whisky from The Glenlivet. Traditionally, the Nàdurra lineup has been comprised of cask strength whiskies matured in (often first-fill, but occasionally refill) bourbon casks. However, The Glenlivet has recently different takes on their Nàdurra lineup over the last few years, and I am reviewing one such batch today. This review is of batch OL0614 (the final four digits are the bottling month/year), which is aged entirely in Oloroso casks and bottled without chill filtration. There is no age statement on this whisky, and comes in at a lovely 121.4 proof (60.7% abv). This is a rich, amber mahogany. The nose smells of Oloroso sherry, with macerated grapes, blackberry jam, and a slight hint of ginger and allspice. On the whole, it is a sweet, pleasing nose. The palate is medium-bodied, perhaps a little lighter on the entry than I was expecting. There are notes of sweet sherry, gingerbread, and drying oak present. It is a pleasing palate, although not an especially complex one. The finish is long and warming, with a wonderful puff of spiced pecans, along with sherry, mahogany, and gingerbread cookies. Water brings out a more intense sherried nose, and a more jammy, sticky palate. The finish doesn’t quite have the potency it does at cask strength, though. Overall, this is a nice, simple sherried single malt. It doesn’t have the depth, complexity, or intensity of some other sherried whiskies, but it is a great inculcation of the style. To be honest, there is just something missing here; I can’t put my finger on it, but this whisky just does not whisk me away to a magical land. It is good, for sure, but it does not live up to the Aberlour A’Bunadh for me. That said, if you’re looking for an introduction to a cask strength, sherried whisky, this is a very good start. My grade: B+/B. Price: $60-70/750ml. For a whisky at this strength, this is a good value buy to keep around your cabinet this winter. Today’s review is of another well-priced cask strength whisky, The Glenlivet Nàdurra 16 year old. 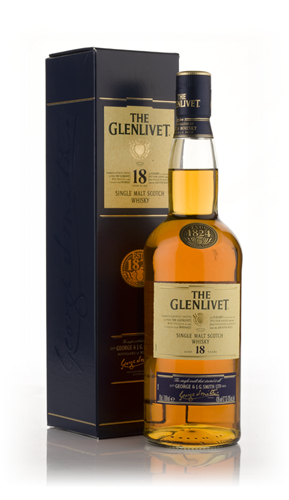 This is the only cask strength whisky in The Glenlivet standard range, released in small batches on an annual basis. The specific batch reviewed here is Batch 0113V, bottled in January 2013, and weighing in at 113.8 proof (56.9% abv). Every batch of The Glenlivet Nàdurra (meaning “natural” in Gaelic) is aged exclusively in first-fill American oak casks, giving the whisky a lot of cask influence. Over time, a barrel begins to lose its effectiveness as an aging vessel for whisky. As a general rule, the more spirit a barrel holds, the less effective it is at aging spirit. Therefore, for the most pronounced flavor profile with respect to the cask, first-fill casks are the most effective. Many whisky companies reserve first-fill casks for their premium expressions, such as The Glenlivet does with the Nàdurra 16 year. However, the opposite can also be true. If a distillery would like to bottle an expression that showcases the raw spirit more than the cask, refill casks provide much of the same aging quality without influencing the flavor profile as much. Talisker Storm is a good example of an expression that uses refill casks to allow the smokiness of the spirit to come through more. In the glass, this whisky is a beautiful straw gold color. On the nose, this is classic Glenlivet. Golden delicious apples, vanilla, honeysuckle, and malted barley are all evident in the nose, although it is a slightly subdued nose (even with water added). The palate is where this whisky really starts to shine, bringing a creamy mouthfeel and notes of green apples, honeysuckle, crème brulee, and vanilla. As a whole, the palate is over-arched by the classic floral notes of Glenlivet whiskies. The finish is medium to long, with drying floral, oaky, and perfumed notes, with twinges of vanilla and honey sweetness that have become more pronounced as I have gone through the bottle. With water, the nose opens up a bit, and the palate sweetens a bit, but I really like this best at its full strength. Overall, this is a very good expression of The Glenlivet, perhaps the truest expression of the distillery’s profile. If you like The Glenlivet 12 year and you are looking to treat yourself, spend a few extra bucks and grab this whisky, you will not be disappointed. This is a wonderfully warming whisky, with the straightforward simplicity of The Glenlivet’s range, coupled with the creaminess and body of a cask strength whisky. My grade: B+. Price: $60-70/750ml. This is one of the best deals for a cask strength whisky, and one of the best introductions to cask strength presentations on the market today. If you have been wondering what the cask strength craze is about, this is a great place to start letting it ride! I have had some requests recently for reviews of single-malt Scotches that weigh in a good value. Of course, one of the reasons I drink mostly bourbon is because it is a domestic product, which makes it a better value buy than Scotch (which is made exclusively in Scotland). However, if you are willing to spend a few more dollars, there are definitely some very good single-malt Scotches on the market today. Scotch whisky is usually delineated by the region of Scotland that the whisky comes from. Today, I am reviewing a pair of Speyside whiskies, The Glenlivet 12 year and The MaCallan 12 year Sherry Oak, both bottled at 80 proof. While most whiskies in the Speyside region have similar flavor profiles, there are some significant differences from whisky to whisky and distillery to distillery. The Glenlivet is one of the most famous distilleries in all of Scotland, and it is also one of the most popular single-malt Scotches. 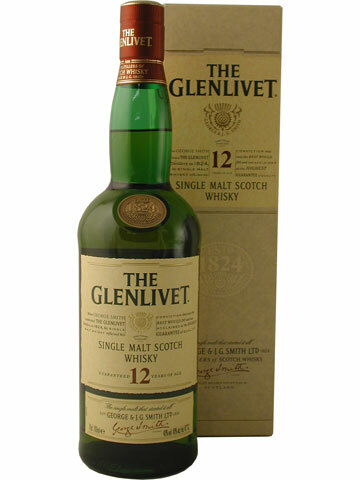 I must give credit to The Glenlivet because it was one of the first whiskies that I ever had that I truly loved. Over the years, it has slipped a bit on my list, but it is still one of my favorite Speyside Scotches. The Glenlivet bottles many different expressions of whisky, but The Glenlivet 12 year is their most recognizable, available in almost every liquor store and bar in the United States. On the nose, The Glenlivet 12 year is light, but rich. Fresh fruits and fresh flowers dominate the air, with slight whispers of vanilla and citrus. I once described smelling The Glenlivet to sitting next to a lilac bush while eating an orange. On the palate, the sweet, citrus flavors of the fruits give way to a sweetness of honey and almond. The citrus zest only wafts in the background. The finish comes back to the nose, with citrus and floral notes. It is light, yet moderately long. My grade: B. Price: $40-45/750ml. This is a nice, light Speyside, perfect for a daily pour. This is a great whisky to have around the house if you don’t mind the price tag. The MaCallan is another very popular Speyside distillery, also providing many different expressions of their whisky. Most of their standard offerings are aged in either Fine (a mix of Spanish and American) Oak, or Sherry Oak, which gives each expression a distinct flavor profile. Although The MaCallan is not as well-known as The Glenlivet, it is still a very popular product. 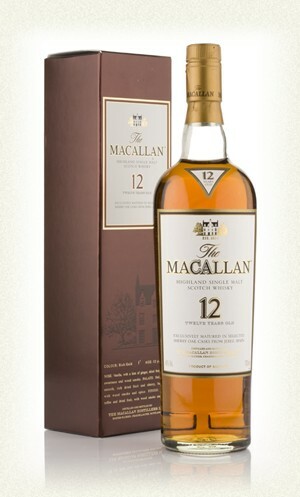 On the nose, The MaCallan 12 year Sherry Oak is dark and rich. There are notes of hazelnuts and almonds, mixed with dried fruits (plantains and raisins). The palate is dense with dark chocolate and dark, dried fruits. As the whisky moves towards the finish, the oak begins to emerge. The finish is rich with oak, both sweet and smoky, followed by a hint of vanilla as the finish lingers for a long time. My grade: B. Price: $50-60/750ml. This is a very nice pour, but there are usually whiskies I reach for over this one if I am looking to spend more than $50. Overall, both these whiskies are very good; they are almost two different sides of the same coin. If you were to see the two side by side, you would instantly notice a difference in color. The Glenlivet is a soft gold, whereas The MaCallan is a rich, dark amber. The Glenlivet presents the softer, more delicate side of Speyside whisky, and The MaCallan represents the darker, oakier side of Speyside Scotch. They are both very good whiskies, and good introductions into the wonderful world of Scotch whisky.